It really makes no sense in Russia to challenge Vladimir Putin, even if you are a billionaire. Wasn't this learned in the Mikhail Khodorkovsky case? Russian billionaire Ziyavudin Magomedov is facing up to 20 years in prison after investigators charged him on Saturday with racketeering and embezzlement of state funds, reports the Financial Times. 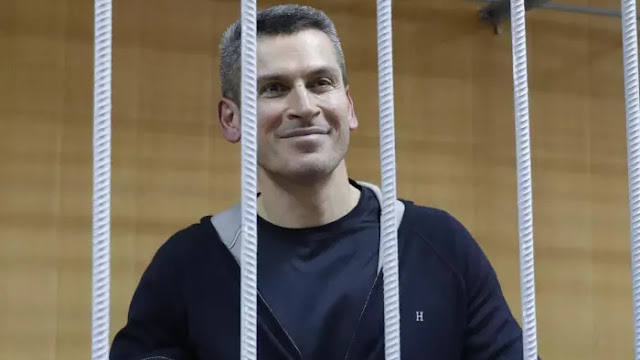 Magomedov, 50, whose fortune is estimated by Russia’s edition of Forbes at $1.4bn, denies the seven separate charges that accuse him of defrauding the state of a total of Rbs2.5bn, according to FT. He said he would appeal a Moscow court’s ruling to deny him bail. The charges against Mr Magomedov and his older brother Magomed appear to signal a jockeying for power among Russia’s elite as president Vladimir Putin prepares to begin a new term in May, three people close to him said. Mr Magomedov, who is close to liberal prime minister Dmitry Medvedev’s top aide and Kremlin spokesman Dmitry Peskov, is embroiled in a number of disputes involving state-owned companies and powerful figures, notably around his port business. Bye, bye Ziyav. I hope you like cold weather and grey skies. John Bolton will likely recommend expelling more Russian diplomats to show "our" displeasure at this unapproved exercise of domestic state power by Putin.